Sponge bath was definitely I knew about, dry shampooing was an alien term for me. In my head were churning ten things like how can one do dry shampooing. To satisfy my curiosity I got BBlunt Dry Shampoo. I went for BBlunt as I was really happy with their leave in cream. You can read that review here. My review for today is BBlunt dry shampoo. 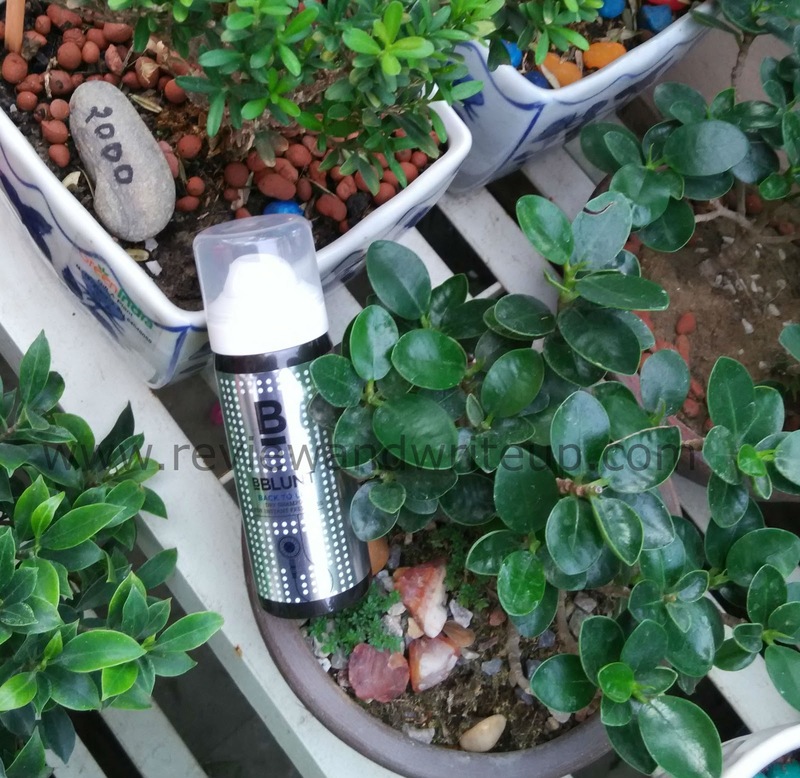 Packaging – BBlunt dry shampoo is housed in little silver-black color spray can. It has a transparent cap and sprayer color is white. Overall the packaging looks really classy and different. As the packaging shines it was difficult to get clicks (atleast for me). I imagined that to be a large bottle but was shocked to see little packaging (means chota packet bada dhamaal). This is light weight and travel friendly. This is sized at 30 ml and priced at Rs. 250. Click here to buy online. Directions to use – Shake well before using it. Hold can in an upright position, six inches away from the hair and spray evenly, close to the roots. Leave it for two minutes. Massage and brush thoroughly. 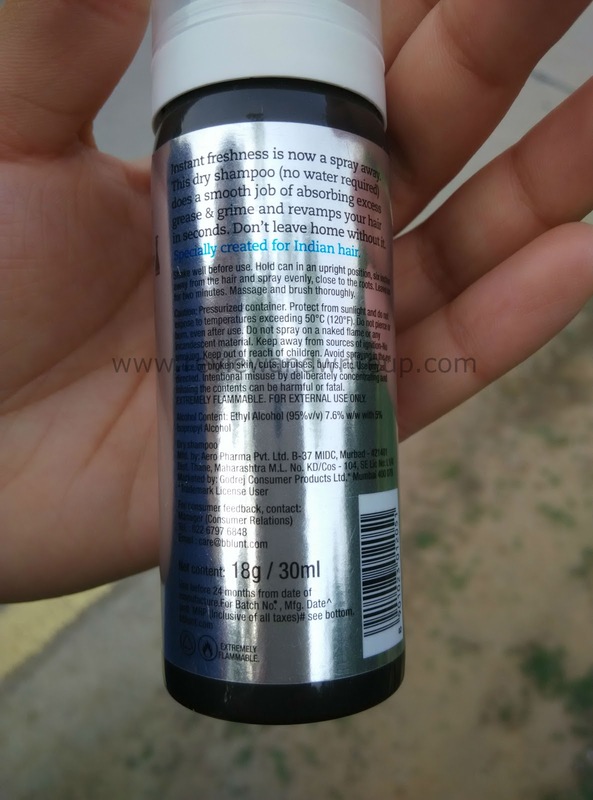 My experience with the product – Biggest fear I had was that what if it makes my hair white. Thank god it doesn’t. My dear readers I have tested this product on my hair for you guys. Don’t worry about hair whiteness. I was not certain like how my hair will look life post its usage. Normally I don’t need it as I wash my hair frequently but that day I had bad hair day and had to step out for some work. That was the first time I used it. Following the directions and after praying I finally used it. 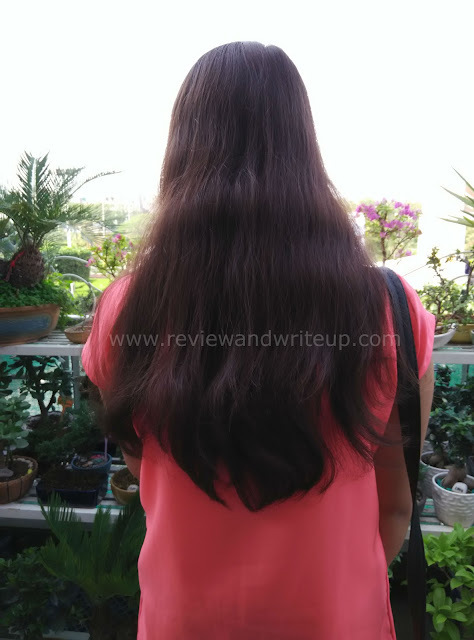 Trust me I felt that my hair had just come out from wash (like how hair feels when dried up after wash) It was easy to brush and mild (johnsons’ baby powder like fragrance) made my hair look fresh and smell fresh. It just took five minutes of my time to make my hair look good. Please see the picture above. Hair is dry shampooed after two days of hair wash. You don’t have to use even a single drop of water. This product is great during summers when hair starts looking dull even next day of hair wash. Also if you are going for camping this is great. Very travel friendly packaging. My tip would be once you use this shampoo wash your hands with soap so that accidentally you don’t put fingers in eyes and damage. There are strong chemicals in the product that can harm. What is your experience of dry shampooing? Have you tried BBlunt? This sounds like an absolutely amazing dry shampoo. A very necessary product in this Delhi heat. Nice review!